“I’m leaving tomorrow,” whispered a female diabetic inmate through the thick glass partition window that separated us. “Yes, Ma’am. Thank you for your help,” she added as she put a drop of blood into the test strip in our Accucheck machine. “That’s great! I hope you will take good care of yourself and will try your best to not be back here,” I softly stated. “Yes, Ma’am,” as she injected her morning insulin dose from a tiny syringe I gave. “Please follow up with your primary doctor outside. And if you don’t have any, I just want to inform you that you can also go to the county’s hospital so someone there can treat you for free. Okay?” I advised. “Thank you for letting me know. Yes, I will,” as she turned her back and sat on one of the chairs in the waiting area and another diabetic came to me after her. I was charting all the female diabetics’ blood sugar level in our log book when the thought came to me. I could just imagine the mixed emotions that inmate was going through prior to her pending freedom. Excitement and happiness, yet with fear at the same time. Being incarcerated for so long, she might not have the means to be able to do well at first. Sometimes, it would be hard to find a decent job because of her crimes recorded. The type that is not beneficial is when we are being overpowered by the spirit of fear. Best thing to do is for us to draw nearer to God. To trust in Him completely. 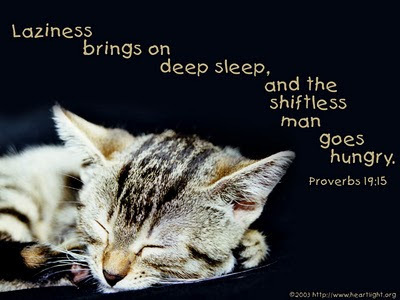 Our Father in heaven knows our difficulties, our sufferings. He knows our desires, ambitions or hope. If we want to soar high, whether we fail or not, just trust Him. 100%. He is the One Who helps us accomplish our dreams or desires, when we commit it to Him. Because He loves us. First. Anticipating a man who might need a med neb treatment for complaint of difficulty breathing, I started preparing all the gadgets I needed to initiate the treatment. So as not to waste time knowing that I just had an inmate who was not responding to any medication from his asthma attack few days ago. Gathering the albuterol solution, and while telling the LVN’s about this sick call request, one of the medication nurses asked me if it was Mr. W. coming. “Oh no!” “I bet you, he was more than upset about this and doesn’t really have problem with his breathing,” I sensed it right away. As I was laying down the stuff I needed, a shackled inmate walked in, escorted by their unit deputy. He was belligerent and was just talking, complaining rapidly, demanding for all his needs. He was so loud that every medical staff’s head turned to him. I motioned for him to sit down, next to all the gadgets I had prepared earlier. Trying to remain patient, the deputy cut him off and warned him that he would be put to discipline for disrespecting me. Usually, I would allow the deputy to do their jobs of yelling at the inmates being disobedient or just plainly rude with staff, like me. But this time, seeing how he was acting, I couldn’t tolerate his behavior and knew I had to say something about that. “What? You don’t give me my meds anyway? How about my medication for my emphysema?” he loudly interrupted me. Sensing that the deputy was truly upset with him this time, I felt that he wanted to shove him against the wall for being so disrespectful with anyone from the start. But giving respect to me, he remained calm and hearing that I was able to defend myself, he let me do my thing. I nodded at him as if to give me time to talk with this belligerent inmate. “One more time…You’re gonna’ get it! Do not interrupt her! I’m warning you again! Don’t interrupt her!” intervened the deputy while he kept on letting me speak for myself. “Where are my bedtime meds?” he continued to mumble. “How come they didn’t give me my bedtime dose?” he interrupted me again. I’m surprised that there was no interruption this time. He just glanced at me and shut his mouth as he didn’t expect for me to raise my voice. “Thank you, Ma’am,” uttered the deputy. “No. Thank you…” I knew he got my message of him being calm despite the nasty behavior we witnessed. And of him letting me speak for myself! The inmate couldn’t look me in the eye. He remained loud the whole time but was not even looking at me nor complaining to me. 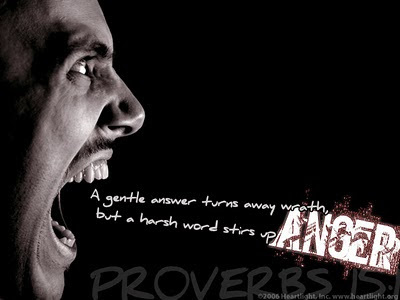 Anger is not always wrong but we have to be careful that it doesn’t turn us into evil. 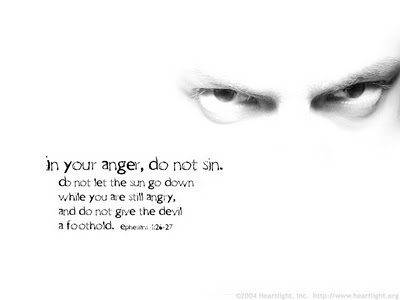 If our being angry just serves our own desires or purposes, then that’s not righteous anger. I hate the fact that I don’t feel unity at my workplace. It probably sounds true to some of you, where you work. Don’t get me wrong! Yes, we, medical staff, help each other during crisis at work, like treating emergencies, helping out each other when the load is too much for one. But I’m talking about the bias I feel and is evident. Like some leaders would favor some group, though they are lazy. They don’t see it that way. Things like that. So, some of the load are done by others who don’t mind doing the work without complaining. I wish our highest manager would come down and visit all...Like a surprise and really see who’s working hard and who is not. Who is gossiping and sleeping at work instead of doing what they were hired to do. Things like that. Sometimes, maybe it’s better, like in a church, there is a division. 1 Corinthians 11:19 says that “For there must also be factions among you, in order that those who are approved may have become evident among you.” But we all know, too much of a thing always end up in disaster. I think it is a sign that we fall from the truth when we see bickering and disunity among us, Christians. Even sadder in our spiritual state when we are like this because we don’t need a surprise visit from our Manager. He sees it all. Jesus is not divided. We are. Please visit and be united with other brothers and sisters in Christ in this blogosphere. 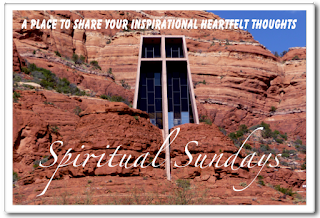 Please go to Spiritual Sundays to be encouraged by many uplifting posts. God bless and please pray for me and my workplace. It’s not easy to look at incarcerated inmates without doubting them, judging them, disliking them, rejecting them. The only way is to be able to taste “agape” love. Agape love is a self-sacrifice kind of love. Agape love is of God, which is His nature. 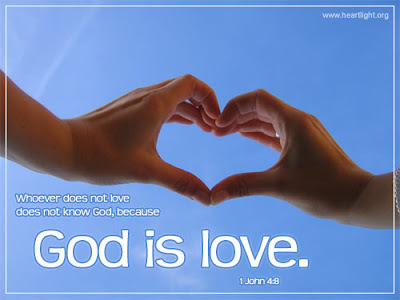 [1John 4:8 - “God is love.”]. Everything that God does flows from His love. He loves because that is His nature. He loves all of us, even the unlovable! Not that anyone deserves it, but because that is His nature to do so. God’s love was shown to us on the cross, where Christ died to save us, sinners. 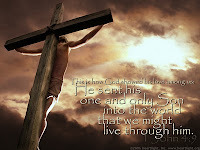 He paid that ultimate sacrifice for those He loves. That is a sacrificial act. 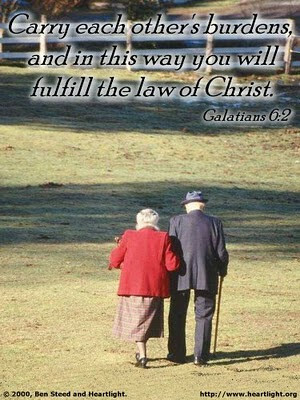 Sacrificial love is not based on a feeling but a determined act of the will and a joyful resolve to put others’ welfare above your own. It doesn’t come naturally to us. If we love God, then, that agape love can emanate from its True Source. Let us desire this highest, purest kind of love: AGAPE…Unconditional. Selfless. Always giving. Last month, after my son’s usual orthodontic appointment, the Orthodontist advised that he needed to have all his 4 wisdom teeth extracted as they were just crowding the rest of his teeth as they came out. They were not impacted. We were disappointed as this could have been done at that time, while he was on vacation. It would make it tougher as he went back to school at that time. My son never wanted to miss any classes as much as possible. And being interested in tennis, he got concerned that he would not be able to play if the procedure was done during the weekdays. It took another 2 weeks from our insurance to reply to his dentist’s referral to another oral surgeon. But from my past experiences, I had learned not to worry and knew it had to happen in God’s perfect time. The letter came one day. The request was DENIED!!! That meant, my hubby and I would have to pay from our own pocket. You know now what the title is all about as you read this. And the procedure wouldn’t be cheap! It might amount to $4,000 something, depending on what would be done. [So much so for having insurance…]. Then, our dental office referred us to another oral surgeon who was maybe 15 minutes away. But knowing in the afternoon, the traffic gets awfully bad, we would have to risk going there. So, I called two days ago to set up an appointment for anything late in the afternoon. Nothing! Everything was early in the morning. I didn’t set up an appointment. I told the receptionist that I wanted to involve my son with the decision, yes, even with setting up an appointment. I respect his request to avoid pulling him out of school if it could be prevented. Somewhere along this, when his braces were done, my hubby remembered [I should say God made him remember?] that…that particular office [my son's orthodontist place which was 5 minutes away] offered a dental plan. So, off he went [to my son’s orthodontist office and the dental office was right there, too]. Yes!!! God approved that plan. We just need to pay $80 [covers the whole year] and for the procedure? Check this out! $17 and a few cents! For the 4 teeth that needed to be extracted. God is sooooooooo good! 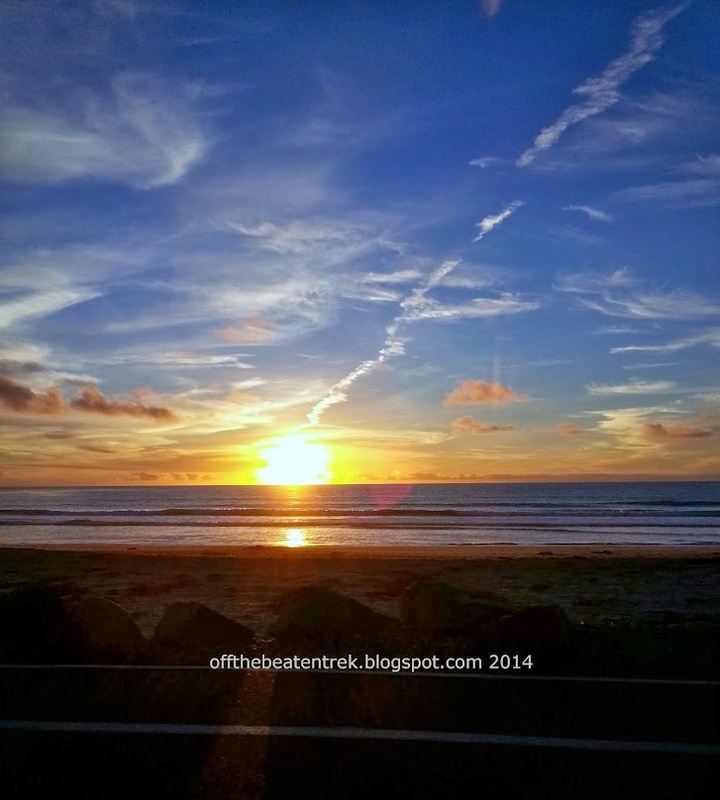 And why did I blog about it? Because I want to thank Him and share this experience with you [though it might bore you]….And another lesson learned how important it truly is…to wait for His perfect timing. Patience…counts. And He does really love to give good gifts!!! And since God brought you here to let you know that He can turn “gold teeth” into “iron” [as nothing is impossible with Him], would you please pray for my son who is having this procedure this Friday, the 12th. What’s another awesome thing about it? He doesn’t have school this Friday. It is a holiday. Then, he has 2 days [weekends] to rest. So, hopefully, he can still train by Monday with the rest of his tennis team. To God be the glory! 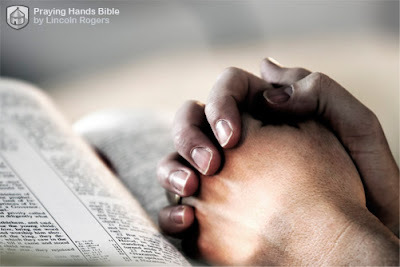 Even if He doesn’t answer our petitions, just remain trusting in Him…Thank You Lord! For everything that You give us. 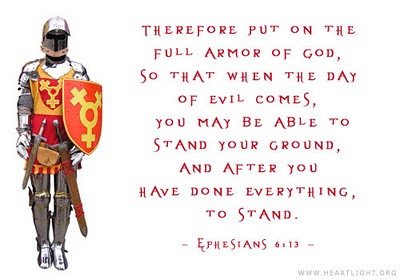 Thank You Lord for making it known that You are here, actively working in our lives. You are here to help us out in times of need. May I never forget to praise You and thank You for the rest of my life. May I thank you even more during times of victories, when I'm on top of the mountains, when I'm filled with so many blessings. Knowing that it's not what I did. But because of what You did. Thank You for Who You are. In Jesus’ Name. Amen. Sometime last year…I was endlessly working. Part of it, was my nature. To give everything I have. Only for the Big Boss. I would always be grateful for this job He gave me as a Correctional Nurse. It was not easy. But the joy of being able to help out to the hurting souls gave me accomplishments deep inside that has far more value than earth’s money or gold. The other part was because of the Supervisor or Charge Nurse was also telling me “Do this! Do that when you’re done!” Patiently, I had been following her wishes. Until my neck got achier and it felt like I couldn’t go on anymore [I had a neck injury in 1997]. It wasn’t about her telling me what to do. It was about her telling us to do work first that were not nursing kind of stuff. You know, like filing papers. Cleaning the exam rooms after. Calling some inmates middle of the night to make sure they were okay when the sick call was usually done in the morning. In their units. I heard Paul’s voice saying: [Romans 13:1 -”For there is no authority except from God and the authorities that exist are from God.”]. “Rcubes…Can you also do the blood pressure checks in unit 8?”, she uttered as I was barely done from charting on an inmate’s chart after a non-emergent sick call. Mind you, this was also done by the LVN's in the morning. Would you believe RCUBES got upset? That was it! The anger meter went up the roof! A fuse blew up! As I kept telling myself, “be slow to anger Rosel! Be slow to anger!” I didn’t say anything. She noticed. Because I usually had the enthusiasm to work. Most of the time, without being told. “Do you have a problem?” she asked. “Yes, I do!” I answered really loud and with a higher tone of voice that surprised my co-workers who had not seen that kind of attitude from me. I felt their sympathy. On me. “No!” I said with defiance she did not expect. To make this long story short, I didn’t talk with her not until the following week that I was scheduled to work. “Hi, Nurse Z!” I softly greeted her as I walked into the Clinic. “Sure,” she said as she got up and led me to her office. She just kept staring. Not saying a word. Digesting all the words that were coming out like a flowing river. I saw her eyes got teary. Still no words from her. She was meeting my own straight gaze. “Okay. Thanks for telling me,” were the only words she uttered as on-lookers were staring at the two of us as we walked out of that room. They were wondering what happened but they knew it was a talk that led to healing. To straightening out what was misunderstood before. And I felt something got lifted from my shoulder…I didn’t want to make a good impression on her. I wanted to do it Christ’s way. He always put others first.